The wait is over and boat season is finally in full swing! Before you hop on your Jet-Ski, pontoon, or fishing boat for some summer fun, let’s take a look at a few ways YOU can be at your safest when you’re out on the water. This safety tip is number one and for good measure. You wouldn’t drink and drive a car and this should be no different on a boat (or behind any wheel for that matter). Due to the various amounts of activity going on around you, drinking on the water is especially dangerous. 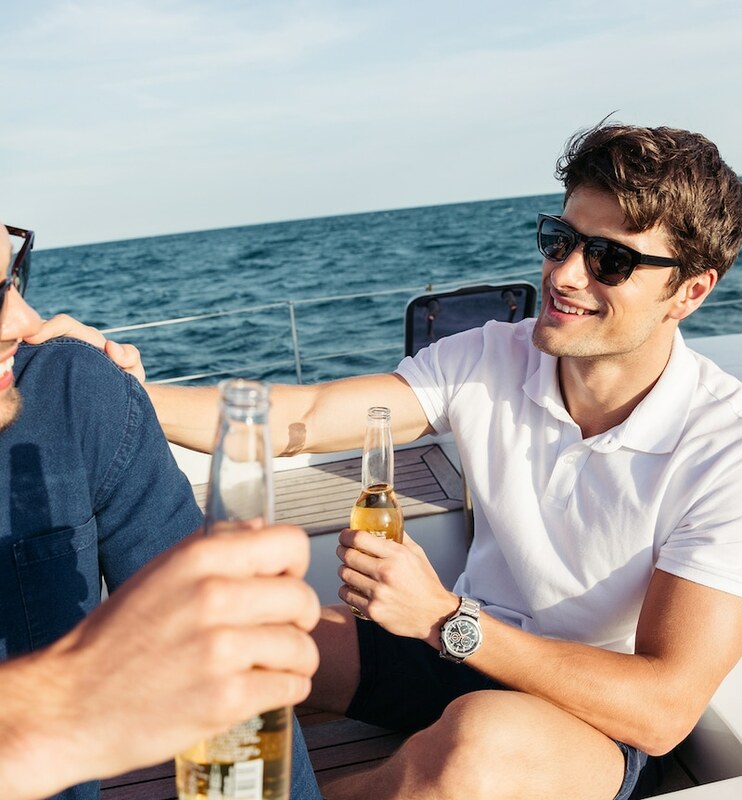 The many factors of the surrounding environment such as the waves, engine noise, vibration, sun, and other stressors can act as a means of distraction which can accelerate your drunken state and further impair your judgment. They are called “life jackets” for a reason. 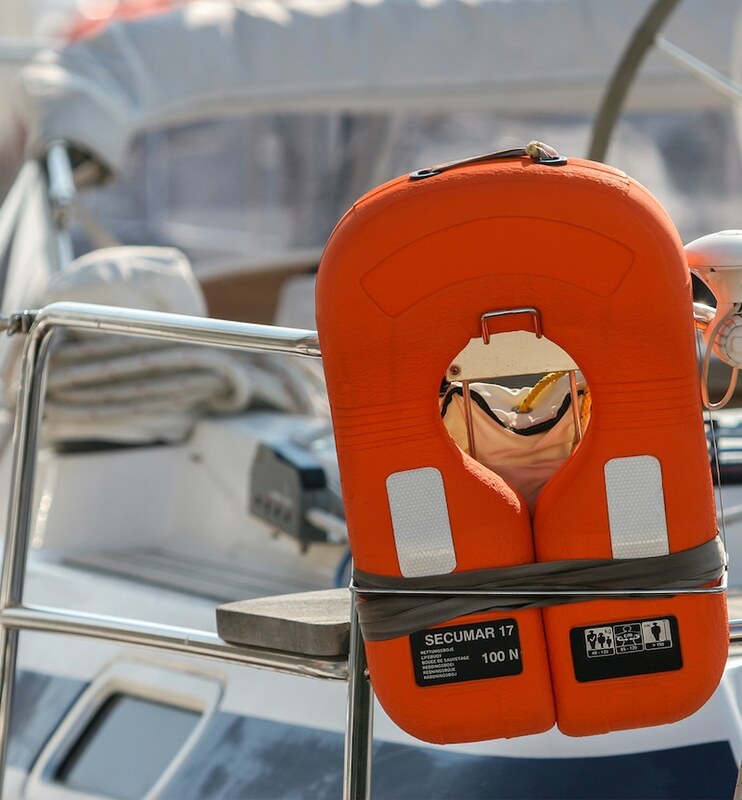 According to the U.S. Coast Guard, life jackets could have saved the lives of more than 80% of those who have fallen victim to boating death; hundreds of people each year. Even though in some states you’re only legally obligated to have “access” to them rather than wear them, it’s highly encouraged to wear one regardless. As an added bonus modern-day life jackets are thin, flexible, and compact taking the “annoyance” variable out of the equation. There truly is no reason to refuse to wear one. Knowing the right time to hit the water can make a huge difference in safety. If there are dark clouds on the horizon or your local meteorologist is calling for inclement weather in the form of strong winds, rain, thunderstorms, etc. or you happen to see lightning, it’s probably not the day to play skipper. Don’t feel pressured or tempted by peers who want you to “risk” it, you’re not only preserving your safety but theirs as well. One day of water fun is not worth a life. If the weather channel says there is going to be a high heat index, sometimes it’s best to do other things than head out on the water. Being exposed to prolonged periods of sunlight at such extreme temperatures can lead to heat exhaustion and other serious issues. If you do decide to take the boat out, be sure to bring plenty of water and sunscreen. Everyone loves a “party” on the water, but when inviting guests keep the weight limit of your vessel in mind and be sure it is not exceeded. Overloading could result in serious damage to not only the boat itself but the passengers you’ve opted to bring out on the water. Always mind the safety instructions and limitations set by the manufacturers.